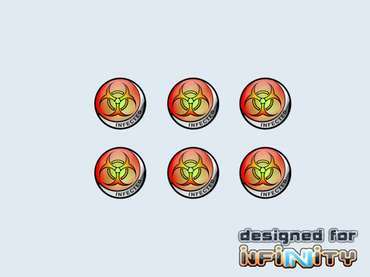 Content: 6 Infected tokens made of a transparent 3mm acrylic. The high quality print is protected from scratching by a layer of white foil. The colours of the tokens may vary from the ones presented.